MPEG2 TS Player, Recorder & Converter . TS-over-IP. 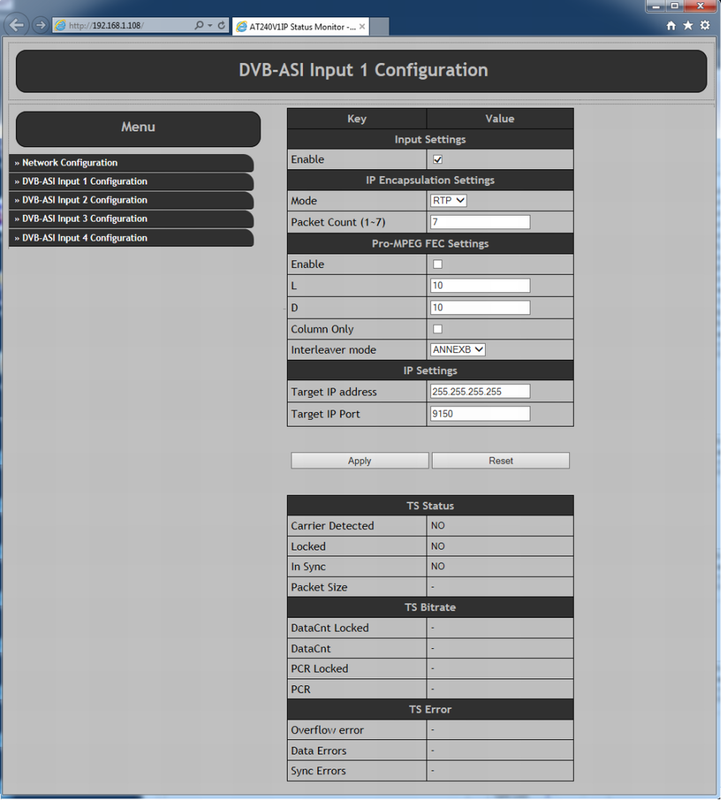 Full Duplex DVB-ASI Player/Recorder & DVB-ASI to IP & IP to DVB-ASI Converter. Converts HD and SD MPEG-2 or H.264/MPEG-4 AVC transport streams from DVB-ASI to IP in real time. Receives HD and SD MPEG-2 or H.264/ MPEG-4 AVC transport streams over Ethernet-based Internet Protocol (IP) networks and converts them to DVB-ASI. Web based Software as well as DVSStationIP an IP TS Recorder & Player. DVSStationIPruns on Windows XP, Vista, Windows 7 ( 64bit ). Remote Web-based configuration management and remote firmware upgrade. Saved configuration setting. No re-configuration needed after system reboot. An alternative to dedicated satellite links – connects digital video equipment to computer networks. Encapsulation of the TS data for Ethernet uses IP and the User Datagram Protocol (UDP), with Real-time Transport Protocol (RTP) encapsulation and COP3 FEC. Dedicated hardware performs the encapsulation, which maximizes the throughput and latency. The device can accept traffic from Ethernet network and recover TS data. For RTP encapsulated data, the device incorporates buffer to absorb network jitter and correct for packet reordering and packet duplication. COP3 FEC-based lost packet recovery is available. For multiple TS interfaces, the AT240IP, individually maps each one to a specific UDP/IP socket (a combination of IP address and UDP port). All other encapsulation parameters can also be individually configured per TS. IP Maximum rate of up to 214 Mbps per ASI channel. Supports constant bit rate ASI output. 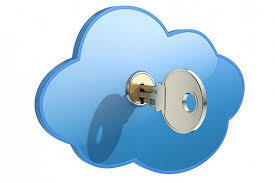 IP address assignment from DHCP server and static IP address. 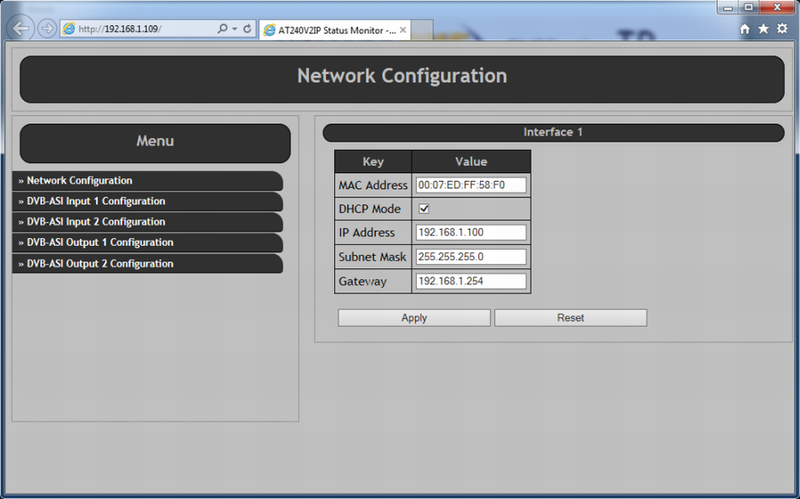 IP address also configurable through the web interface. Configuration for Time To Live (TTL) for Multicast. Supports both multi-program TS (MPTS) and single-program TS (SPTS)data. ENG (Electronic News Gathering) – Stream content to and from remote locations. ASI input to Cable System. 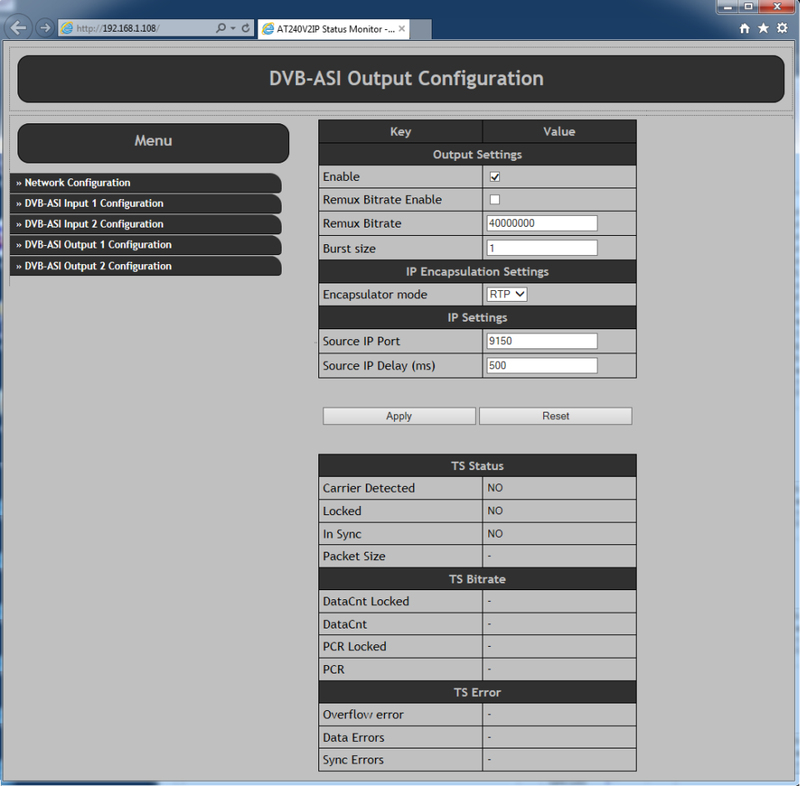 Converting ASI out from encoders to IP, or vice versa. DVB-ASI Connector: 75 Ohms Mini BNC. 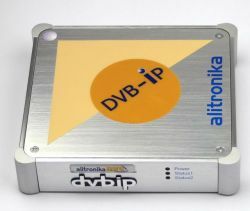 DVB-ASI Input/Output Bit Rate: 0 to 214 Mbit/s. Two options, "Update" the device's Firmware or go to "Settings"